Buying children's bedroom furniture can be stressful. As an adult, your furniture requirements don't tend to change much with age. But as kids age, their needs evolve. Possibly the most important element of any child's bedroom is the bed. A children's bed needs to be both comfortable and visually appealing to them. And, as any parent knows, children have their own unique visual preferences. 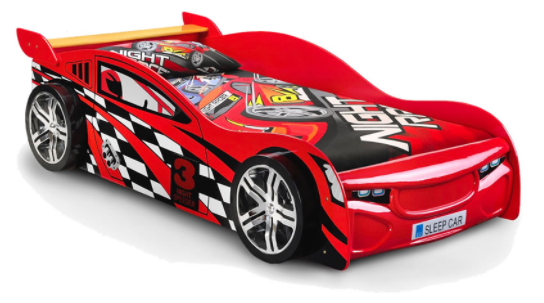 It might be tempting to immediately go for the fun child-sized bed themed as a racing car or playhouse, but if you're leaning toward a cost-efficient sleeping solution then it may not be practical. Children's themed beds may seem inexpensive, but sooner or later they will need to be replaced with a more age-neutral bed frame once they grow out of it. This is fine if you can afford the expense of buying a new bed every couple of years but, for those that can't, you'll just have to resist temptation. There are plenty of ways to theme a regular bed frame with temporary decorative items, that can later be removed or adapted to reflect your child's change in interests. Many styles of children's beds include storage space built into the bed itself, by way of drawers or shelves. The trick is to maximise storage opportunities where possible in smaller bedrooms! And, with so many toys and children's books, you'll be wanting to create a lot of space. Bookcases have a very small footprint, taking up little floor space whilst giving spacial value in their height. 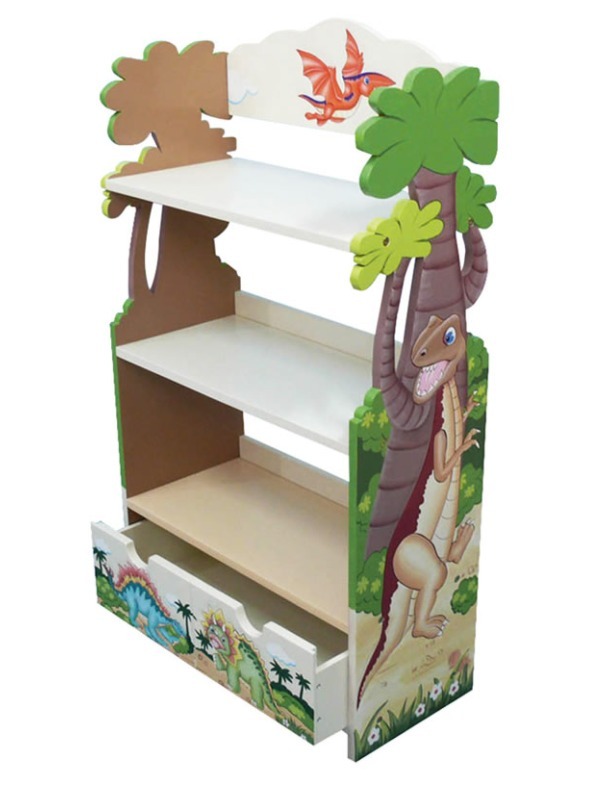 Fun themed children's bookcases can celebrate your child's favourite hobbies and interests and are ideal for complementing themed bedrooms. Alternatively, most regular bookcases can accommodate toy boxes and children's books well. Bookcases aimed specifically at children tend to be shorter, so that all shelves are child-accessible, which allows children to feel more comfortable in their own room knowing that everything is theirs and can be "touched" by them. On the other hand, having storage space a little higher than they can reach allows you to store children's things in their room that you may not necessarily want them to be able to reach. Perhaps decorative ornaments or baby keepsakes, or even seasonal items that they have no reason to get down for the most part of the year. For budget-conscious parents, however, you may want to consider a more neutral bookcase or bedroom furniture set, that can grow with your child far into their teenage years - and longer! Regular bookcases in white or wooden finishes are timeless classics when it comes to both living room and bedroom furniture. Leaving you to let the contents of the bookcase speak to your child, rather than the design of the bookcase itself. We all know how important homework is. We don't need our children's teacher to tell us twice! There's absolutely nothing wrong with children sitting at the breakfast table to do their homework. It allows us to get involved easily, keep them motivated, and give them help when they need it. But a dedicated desk area in their bedroom can help them with their independent study, without the distraction of television or family conversations. Many children sit in bed to complete their homework, but this can limit a child's focus and productivity. Not to mention it promotes terrible posture! Study space is important and is a good habit to get into from an early age. Homework desks don't have to be huge - a small single desk in the corner offers a valuable surface. However, if you have the room, the more surface space your child has the more welcoming the idea of homework will be, with lots of room to spread out their papers and books. A children's desk doesn't necessarily have to be a desk either. A desk can double as a dressing table, and vice versa. There's not much difference between a desk and a dressing table functionally. A mirror can be wall mounted at the back, or just sit at the end. Drawers can be organised into separate compartments for stationery or hairbrush and other accessories. If you have more than one drawer, then this is even easier and you can even label the drawers with the intended contents of each. Explore our children's bedroom furniture range. 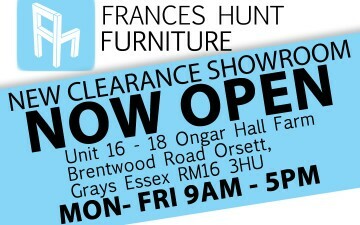 See our other furniture buying guides.